Chicago, Ill. - The Chicago Blackhawks announced today that they have agreed to terms with defenseman Robin Norell (no-REHL) on a three-year contract. Norell will report to the American Hockey League’s Rockford IceHogs. Norell, 21, registered eight points (2G, 6A) in 51 games with the Swedish Hockey League’s Djurgardens IF this year, in addition to appearing in seven postseason games. 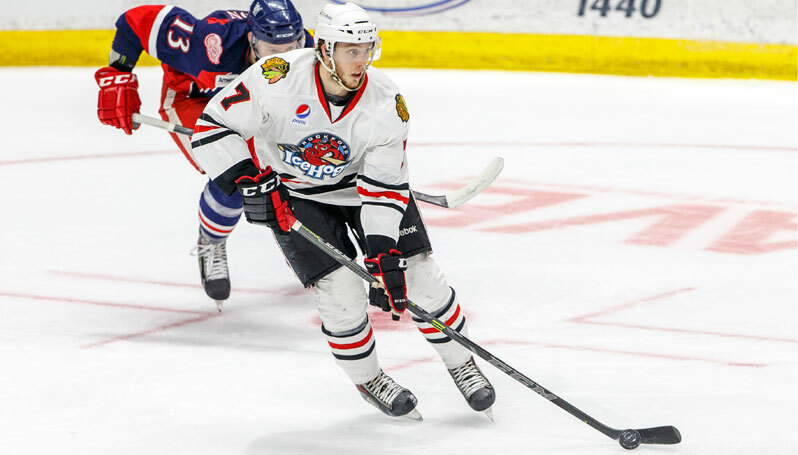 Selected by Chicago in the fourth round (111th overall) of the 2013 National Hockey League Draft, Norell made his professional debut with Rockford when he skated in three 2015 Calder Cup Playoffs games. The Stockholm, Sweden, native has collected 17 points (5G, 12A) in 99 SHL games with Djurgardens IF across two seasons and appeared in nine playoff contests. Norell represented Team Sweden at the 2014 and 2015 World Junior Championships, totaling two points (1G, 1A) in 14 contests and winning a silver medal in 2014.